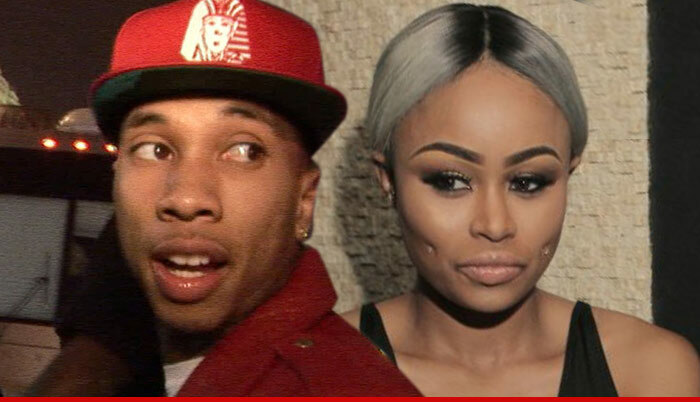 Tyga Blac Chyna's a Bad Mom I Want Custody! Tyga -- Blac Chyna's a Bad Mom ... I Want Custody! Tyga thinks Blac Chyna is unfit to properly care for their child because she twerks and parties too much ... seriously. Tyga is alarmed that Blac Chyna seems more interested in hitting the clubs than parenting their 2-year-old son King Cairo, so we've learned he will file legal docs asking for primary custody. The rapper thinks his baby mama has lost her focus on caring for the little boy ... she's more interested in making a spectacle of herself ... twerking day and night when there's a camera in sight. He lost it when he saw the double twerk featuring Blac Chyna and Amber Rose. And when she went out later that same night and partied at a club, he decided he was going to take her to court. He says he does not want his son raised by nannies. The former couple does not have a custody order, but currently she has the kid more than him. He wants to change that. We reached out to Blac Chyna ... so far no word back.